Childhood is a time of magic. The world through the eyes of a child is simple and yet fascinating in its every aspect. The child's world is often thought to be a happier, sunnier place, brightened up by gifts, games, and smiles. That is why we, adults, love to treat and even spoil the children around us - to bring a smile to their face, a smile that brightens up the world. Picking a gift for a child – this should be easy, right? Well, it depends. 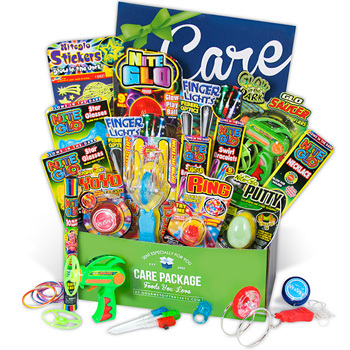 When it comes to looking for a gift, many adults feel overwhelmed with the immense variety of what the market has to offer for children. We want to pick that something special that will be memorable and useful, but also enjoyable and pleasing. Should we go with an educational toy? Something sweet and delicious? Or something fun and exciting? The possibilities are, almost literally, endless. The most important thing is for the present to be age-appropriate, albeit, as the saying goes, children do grow quickly. 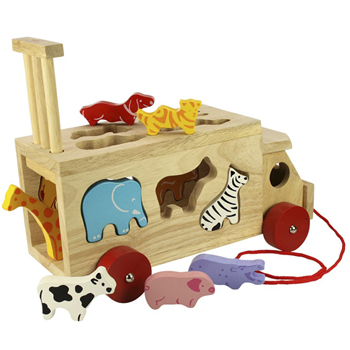 Toddlers and infants will be fond of soft toys, wheeled tag-along animals, and bright soft books. The main issue for gifts for children of this age is safety. Whatever you pick out, be sure that all its parts are secure and lacking small pieces that can be swallowed. It is relatively easy to find a thoughtful and attractive baby gift basket featuring these items. Older children, who have grown more curious about the world around them, and who are training their bodies and minds, will appreciate a good read, a fascinating board game, an intricate puzzle, or, going in a different direction - sports equipment, such as table tennis sets, soccer ball, and others. In this age children usually already show their own interests and it is easy to follow their theme and pick a gift that suits their mindset. Finally, of course, everyone loves sweets. Chocolates or candies, dried fruits or popcorn gift sets - sweets and confections are a foolproof gift for any child over 3. Not only are these gifts to be enjoyed and savored, but they can also be shared with friends and family, creating an atmosphere of celebration and sharing. Indeed, picking a gift for a child is just that easy. In the end, as long as you're choosing a gift while thinking about putting a smile on their face, you're sure to find something they will treasure. And, you'll put a smile on their face - a smile that brightens up the word.